Hi everyone! 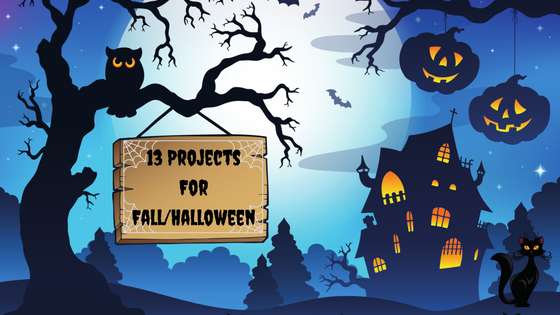 Welcome to my 13 Projects for Fall/Halloween event. Now, to start off, I want to apologize for my not blogging for the last two months. Some of you may know from past blogs that I suffer from Chronic Pain, but that has not been the issue this time. Approximately mid May I started having stomach issues...pain, vomiting, nausea, etc. It steadily became worse and worse and finally I was unable to do anything except lay down and sleep. I got to see a specialist earlier this month, and along with changing my heartburn meds, they have scheduled me to have a camera put down my throat and into my stomach to see what is going on. The pain and vomiting as settled a bit, but the nausea has continued and I have very little appetite. It has been no fun that is for sure. So, I'm sorry for not having any blog posts. 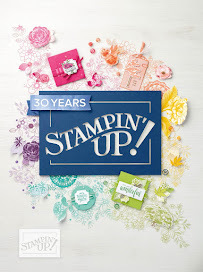 I did, however, enjoy ordering from the new Stampin' Up! 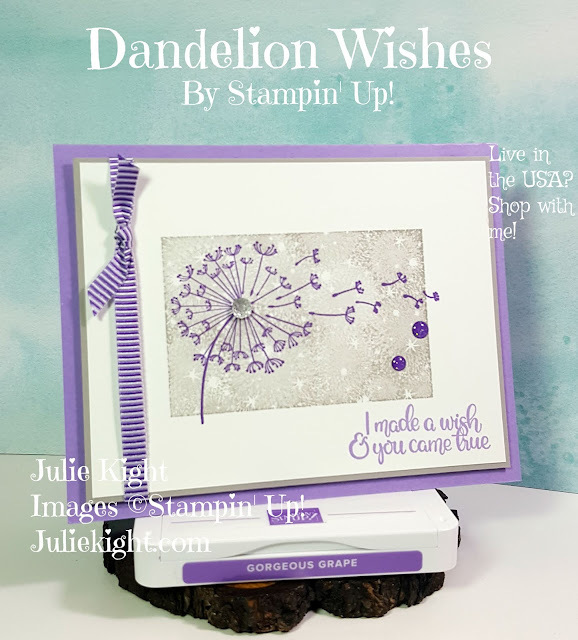 Holiday catalog the first of this month, a wonderful demonstrator benefit and now I have some fun and exciting projects to share with you! Over the course of the next two months I am going to be sharing 13 Fall and/or Halloween projects with you. So lets get started with #1. I wanted to start a Fall/Autumn card because, of course, it comes before Halloween and you would want to get started with them. 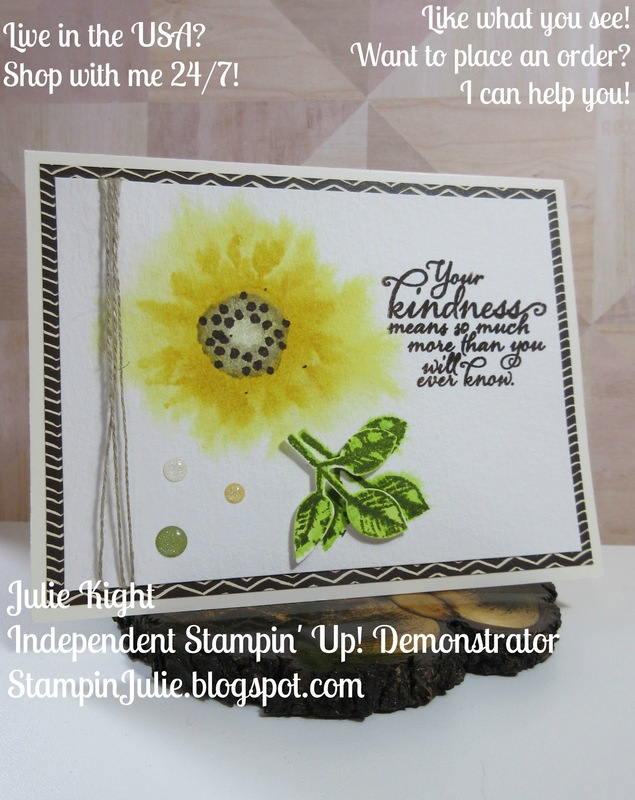 I came up with the idea for the card from a fellow demonstrator, Billie Moan. I fell in love with the watercolored look and wanted to try it myself. down for a few seconds to let all the ink absorb into the water and onto the paper. Next, I took my Heat Tool and set the ink a little. 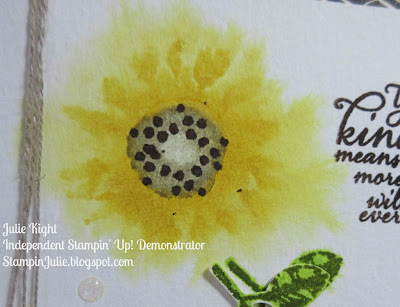 After I liked the look of the ink, I spritzed the paper again and stamped the front part of the flower. Again I used my Heat Tool to set the ink. 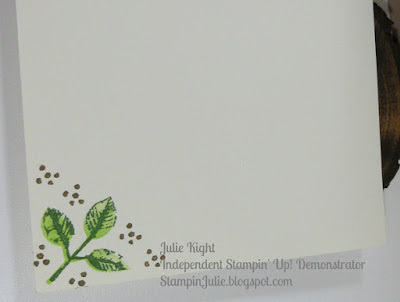 I continued for the leaf and also stamped it onto another piece of Watercolor paper and after it dried I punched it out with the coordinating Leaf Punch. I added Mini Dimensionals to the back of the leaf and placed it off-center of the leaf on the paper. Next, I stamped the greeting to the right of my sunflower in Early Espresso. 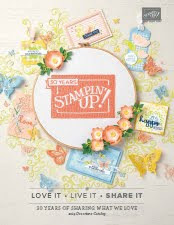 And wrapped Linen thread around the Watercolor paper three times and secured it on the back with Fast Fuse adhesive. I then placed three Glitter Enamel Dots in Olive Green and Crushed Curry underneath the sunflower. I cut a piece of Painted Autumn DSP (Designer Series Paper) to 4"x 5-1/4" and adhered it to the front and then adhered this whole piece to a card base of Very Vanilla. 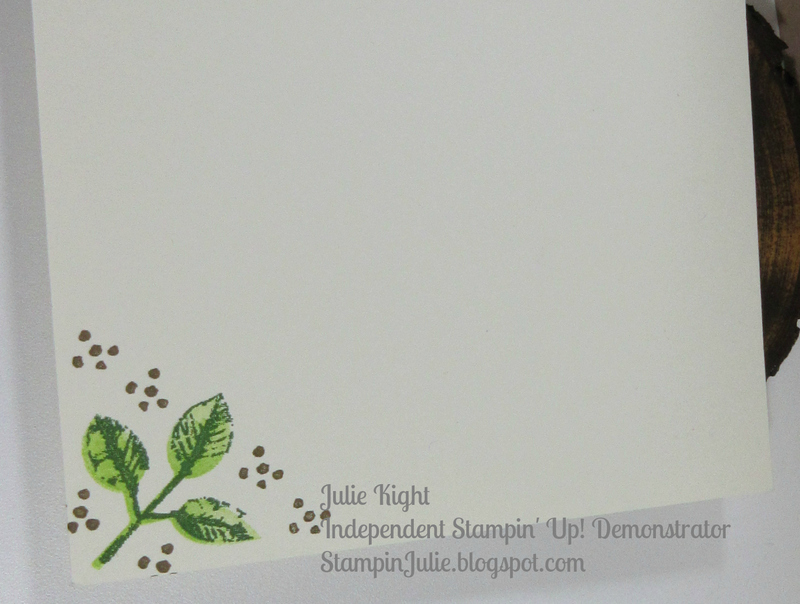 On the inside of the card I stamped some leaves in Lemon Lime Twist and Garden Green. Also some seeds (dots) in Early Espresso. And we are finished! 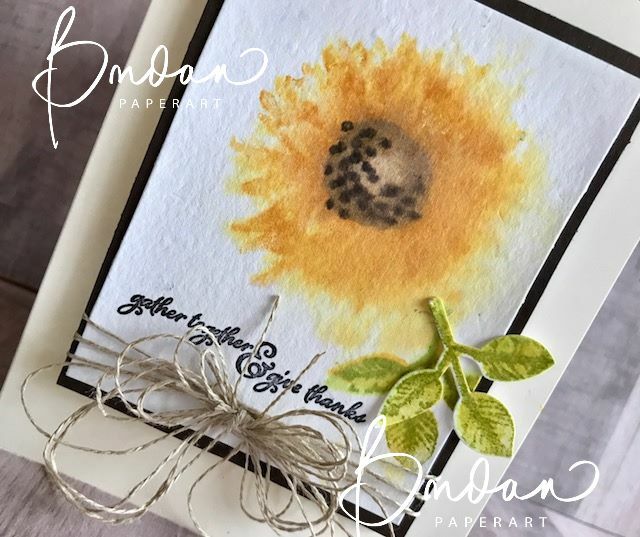 Thank you so much for coming to my blog and checking out my 1st project of my Fall/Halloween event! I will be posting more projects every few days so keep your eyes open for the next one. It will be posting on Monday, Aug 28th. Have a great weekend!